So I want to extend the leads on my Stickmate, and I want to do it right. I also want to upgrade the stock #4 leads to #2. I have already ordered 50' of #2 lead and 2 tweco panel recepticals. The goal is to be able to disconnect the leads completly from the unit for storage, and select my desired length while working. I will divide the 50' of #2 into separate 25' lengths for the stinger and work leads. 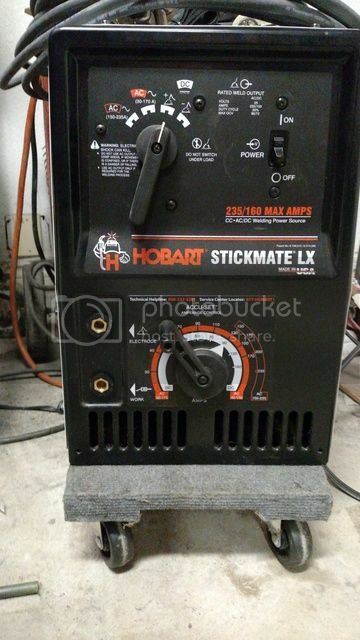 I know the easy way would be to just extend the #4s, and that would be fine for welding in the garage, but my reasoning for upgrading to #2 is I would like the option In the future to efficiently extend each lead 75-100ft which would let me hit most of my yard for future projects. Looking at it again, I think I missed a section of cable in my picture, should have labeled 5 sections. I have cheated with jumper cables a few times. Going back to the lugs is the way to do it properly if you need to stretch out then just use your #4 as a whip so you do not have to hold the #2 while welding that gets old I know. I compensate work lead length for longer electrode length on mine while keeping the #4. 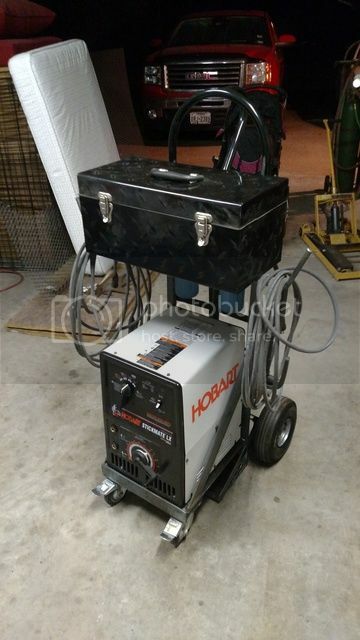 I can weld 20' from my machine I also have an extension cord that puts me 20' from my receptacle if need be. Thanks guys, I'm definitely going to extend from the lugs with #2, that's not the issue. 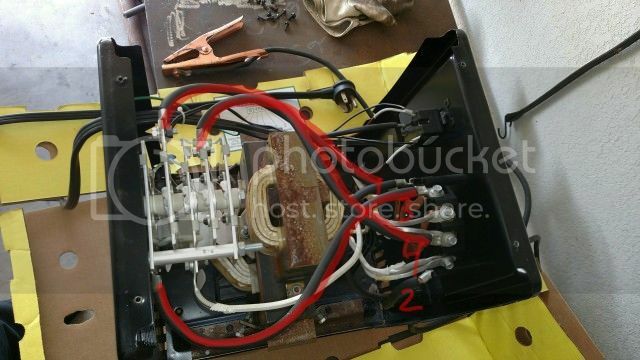 My main question is, do I need to upgrade the other 3 short sections of cable inside the machine?. Pretty sure I do, and I cant imagine what it could hurt even if its not needed. 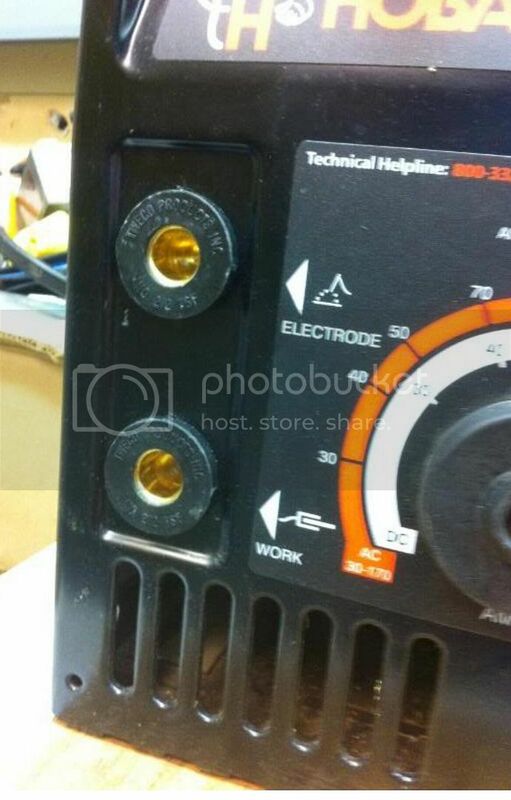 I figure they must have something to do with the DC side of the machine, I have seen the inside of the AC only version of this welder and it does not have them. I only weld on DC, so I assume they must be part of the circuit I use. The wires I have highlighted in red are the three I am asking about to clear up any confusion. 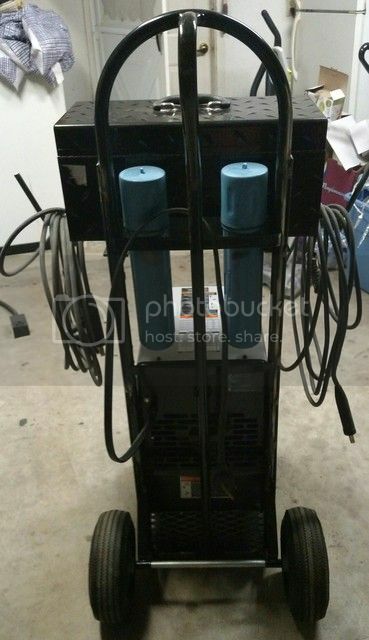 There is no need in changing the cables to the diodes because you cannot enlarge them that is all that is offered for the machine. Just remember when pushing 1/8" 7018's 50' from the machine even with 2/0 cable you are working on those diodes so be mindful of that. Yes the diode will most likely burn in two before you hurt the #4 cables. The three short cables. Do not mistake what I am saying about the 2/0 that is better than running #4 50' out. But the machine is sized appropriate for what it is. The last final weak link is your diodes and you cannot increase them so the three cables inside are fine. Got all the parts in the mail and finished my lead extension project. Figured I'd post a picture of the final product in case anyone else is looking to do this in the future. No more fixed leads to deal with, and nothing had to be cut, machine can be put back to factory specs in 5 minutes if needed. Very nice work JLCBBQ. You should be set up for just about any situation now. 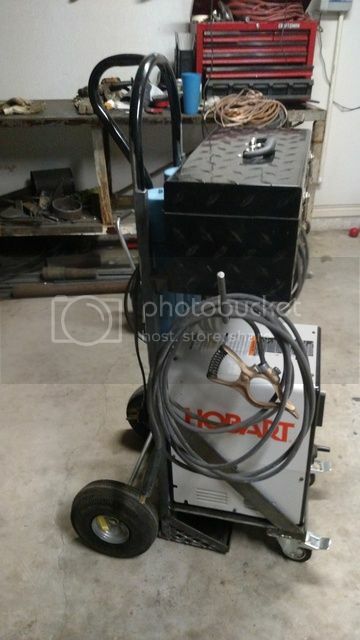 As for the low key welding cart I have been rolling mine around on a dolly for 9 years and one of these days I am gonna build that cart. Finally built that cart a couple months ago, forgot to post. Basically just modified an old hand truck. Works great for pulling it across the yard. Locking casters in the front make it easy to roll around the garage.